We’re really excited to be releasing the debut album from Amsterdam’s Dow Jones Brotherhood. The producer sat down with Noisey in his home country and talked about the creation of ‘~~~’ and the direction for this new moniker. They’re also streaming the entire album on their site now, so you can check it out ahead of tomorrow’s release. The interview is in Dutch, so get your Google Translate on if you’re a non-Dutch reader. Cassettes are shipping now from our site and bandcamp page. It comes with a digital download code on both sites. 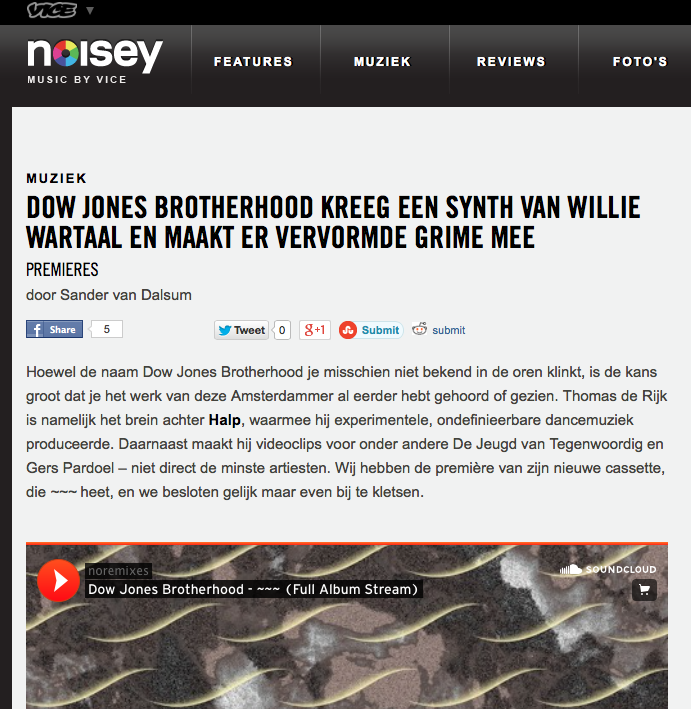 Share the post "Stream the Dow Jones Brotherhood Debut Album Courtesy of Noisey Nederland"